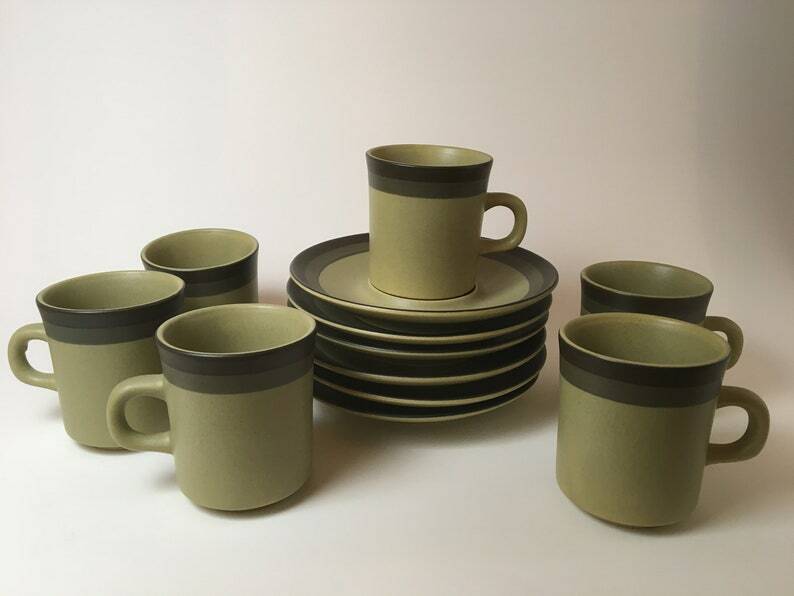 Vintage olive green coffee cups with matching saucers, by Arrow Stone. Light crazing on 3 cups. Set of 6. 6 oz. cup measures 3.5" tall.